RIT’s new MAGIC Center will focus on supporting students, faculty and staff in turning ideas into marketable products. MAGIC—the Center for Media, Arts, Games, Interaction and Creativity, located in Student Innovation Hall—has been created to help RIT innovators hone in on the burgeoning field of digital media—including games, apps and software—which, according to researchers, is changing the way we communicate, learn and think. The RIT Laboratory for Media, Arts, Games, Interaction and Creativity, and MAGIC Spell Studios. A non-profit university-wide research and development laboratory, the RIT Laboratory for Media, Arts, Games, Interaction and Creativity is a cross-disciplinary hub where student, faculty and staff researchers, artists and practitioners come together to learn about and create digital media. According to Phelps, the lab solves this problem, acting as an intellectual and creative home for affiliated faculty from across the university to share these ideas. The computer lab is equipped with 25 Alienware Aurora 6 Core gaming desktops and a Mobile Zone, with supplies for any project involving mobile phone and tablet technologies. In addition to making it easier to recruit student artists and game designers for digital- media projects, the center also provides space for students to continue their projects beyond the confines of one or two semesters. as they bring their ideas from prototype to commercial production in the marketplace. overhead and business management extras that come with owning a company. The heart of the center remains open space for speakers and events like hack-a-thons. Plans are underway to install a 320-degree panoramic projection screen. “It will be really interesting to put gaming students, grade school educators or medical teams in this mini IMAX and see what kind of visualization concepts and educational experiences they develop,” says Phelps. Student Innovation Hall also houses the Simone Center for Student Innovation and Entrepreneurship, which will work closely with the MAGIC Center to help students realize their entrepreneurial spirit. Mindgamers, a video game for people with anxiety and/or autism spectrum disorder, is designed for players to have their “best day” in school. A team of mental-health and game-design students and professionals are working on the project, including Laurence Sugarman, Institute of Health Sciences and Technology; Stephen Jacobs, Interactive Games and Media; and Robert Rice Jr., director of clinical internships in the Mental Health Counseling Program at St. John Fisher College. 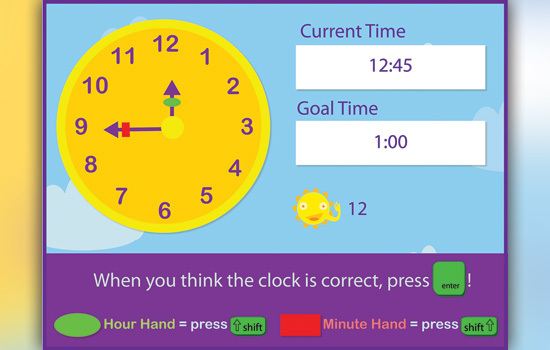 Sky Time is an educational game designed to teach kindergarten through second-grade students how to tell time. It was initially developed as a class project in a Humanitarian Free and Open-Source Software course designed by Professor Stephen Jacobs. In July 2013, Sky Time was selected for the White House Champions of Change event, which honors civic hackers who are doing extraordinary things with technology. Lazy Eye Shooter is a video game that helps improve the treatment of amblyopia, or lazy eye, in adults. 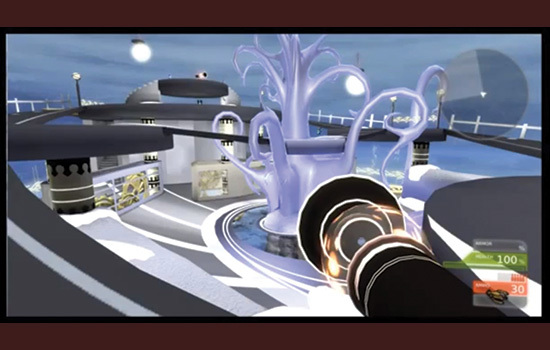 Currently funded by the National Eye Institute, the Office of Naval Research and the McDonnell Foundation, the game uses first-person shooters to increase visual acuity. 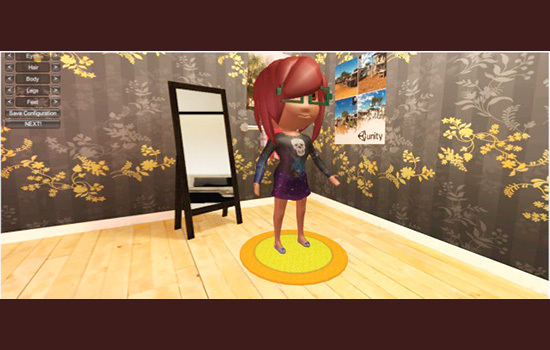 Jessica Bayliss, associate professor in the School for Interactive Games and Media, is the principal investigator and is currently developing a non-violent children’s version of the game. New York State Sen. Martin Golden has chosen RIT’s MAGIC Center as the new Upstate site for an Oct. 22 hearing on how to further develop the state’s game and digital media industries. Like a similar hearing that Golden’s Senate Select Committee on Science, Technology, Incubation and Entrepreneurship held recently at the Polytechnic Institute of New York in Brooklyn, the invitation-only session will seek comment from industry leaders, entrepreneurs and legislators. 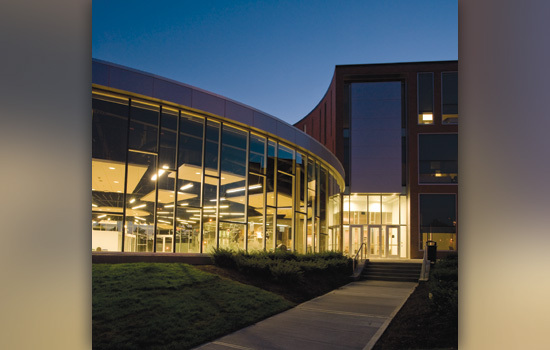 To learn more about RIT's MAGIC Center, go to http://bit.ly/ritmagiccenter.